Visit Hendrickcars.com to submit a sweepstakes entry. 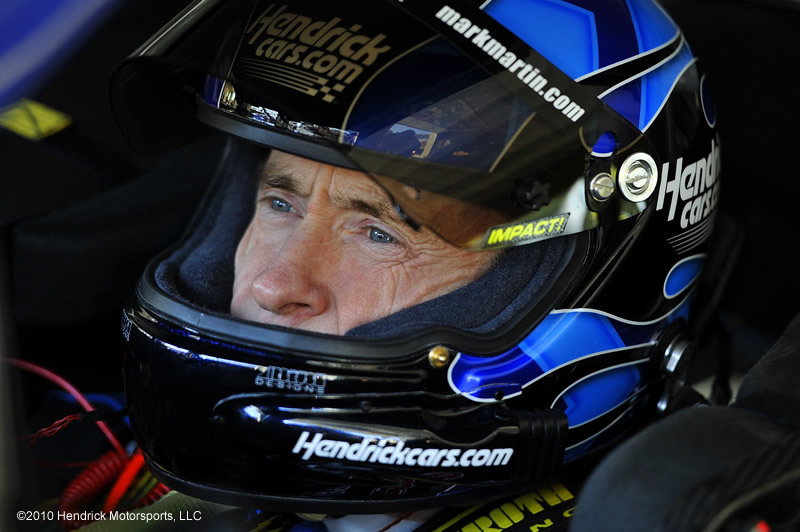 One lucky winner will receive the replica helmet signed by Mark Martin. Martin’s 32 top-10 finishes and 38 lead-lap finishes at Pocono are the most for the NASCAR veteran at any racetrack. Meanwhile his 19 top-five finishes rank second -- just behind the 22 he has recorded at Dover. 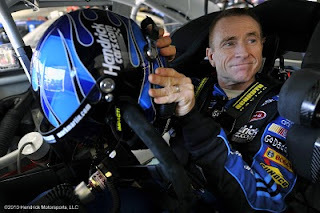 In June at Pocono, Martin started 14th and raced into the top-10 before being involved in a last-lap multi-car accident that left him with a 29th-place finish. Don't Forget, visit Hendrickcars.com to register. While you're there, search from up to 5,000 top quality pre-owned vehicles. Just like Jimmie Johnson, Jeff Gordon, Dale Jr. and Mark Martin say, it makes a difference when you drive a Hendrick car. Search from thousands of manufacturer certified pre-owned vehicles and many CARFAX one owners (CARFAX reports are free on Hendrickcars.com). Visit Hendrickcars.com and good luck in the sweepstakes.